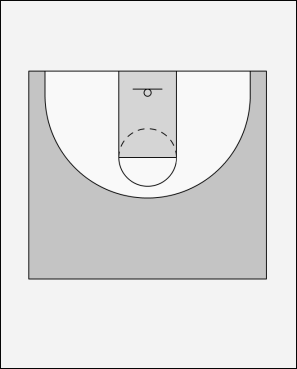 2 sets a screen for 5 and rolls to the basket. 5 uses the screen of 2 to get free under the basket. 4 sets a screen for 3 and goes behind the 3 point arc for the skip pass. 3 goes to the side to receive the ball. You might want to alter your normal 2 and 4 line up depending on who has the best three point shot.